The world’s largest business event dedicated to catering operations, passenger comfort and onboard-sales during air and rail travel. This year in Hamburg over 200 exhibitors including many new suppliers showcased their products and services to an international audience of senior airline buyers and rail operators. 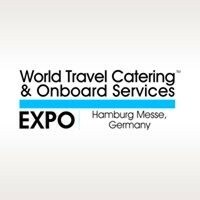 In just 3 days visitors can source innovative catering and onboard solutions, be inspired by chef demonstrations and interactive presentations and meet and network with new and existing partners. Co-located with Aircraft Interiors Expo and the Passenger Experience Conference.